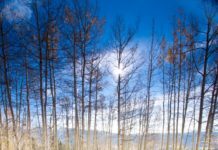 If you have ever wondered about the differences in trimming here is some great info from Nature’s Hoof- Barefoot and Balanced. • Lack of movement and exposure to appropriate terrain that would stimulate hoof growth and development, and natural wear . • Exposure to ammonia which forms with the decay of plant material and animal waste i.e. stable bedding, manure, excess muddy conditions, etc. • Incorrect trimming and shoeing. What is the difference between a farrier "pasture" trim and a "barefoot" trim? Typically, a farrier/pasture trim is one that shortens the hoof as part of hoof maintenance when conditions did not provide for adequate wear of the horn (hoof wall). Hoof horn is growing continuously, just like our fingernails. If the hoof is healthy, the wall will grow at the rate of approximately 1/4" per month. If the horse lives in an environment where the hoof wall is not abraded/worn, the hooves will become pathologically deformed as they grow too long. Therefore – and in most domestic situations, we must provide the horse with regular hoof care to "mimic natural wear". A healthy hoof in its natural environment does not just shorten itself. It sculpts itself to its physiologically correct and functional form. There is nothing flat in a healthy hoof. The physiologically correct form and the functions that go with it, have been studied by those who saw problems with conventional hoof care which comes from a mind set that originates from the desire to protect the hoof wall from wear, and suspend the sole and frog above the ground, by attaching a flat piece of metal to it; the horseshoe. The preparation of a hoof for a shoe requires a certain trimming technique. This rasping technique will produce what is called "the solar plane". It will shorten the toe area with every swipe, reducing the concavity and thinning the sole beneath the tip of the coffin bone, while also flattening the heel and quarters onto a flat plane with the toe. • The heels are generally left long; encouraging contraction, toe-first landing, and "navicular" pain. • The toe callus is trimmed away; a thin sole doesn’t protect the foot. •The bottom of the wall is left flat, as if preparing for a shoe. This encourages flaring in the bare hoof. Flares are painful, like pulling really hard on your fingernail. •Farriers often ignore flares, leaving a stretched white line and poor coffin bone suspension, thus the horse is "sore on gravel" and on rocky trails. A "physiologically correct" bare hoof trim is created almost like a "piece of art". It has "flow" and "balance" and most of all, function. Its model is a healthy self trimming hoof as we would find it in the wild. Even though the pasture trim may look similar at first, the trimming techniques are quite different – and will take the bare hoof trimmer longer than it would take a standard farrier trim. Every feature of the hoof has a purpose which requires the trimming techniques to be different. Bare hoof trimmers have been schooled to specifically recognize and enhance these structures so the hoof can function optimally. A healthy hoof provides comfort for mobility – no lameness, appropriate traction, surefootedness, correct breakover and balance. It provides function – hoof mechanism for proper circulatory and metabolic function, protection of sensitive internal structures and shock absorption (60-80% of concussion is absorbed by the hoof suspension mechanism). If this function is impaired by a brace (shoe), concussion will have to be absorbed elsewhere in the equine body – joints, muscles, tendons, ligaments will be stressed, causing problems like calcifications, arthritis, avoidable "wear and tear". 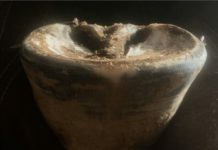 A near ground parallel coffin bone, properly suspended within the hoof capsule is required for balanced weight distribution for skeletal and soft tissue health. A healthy foal is born with the "blueprint" of hooves that will fulfill all of these qualities. 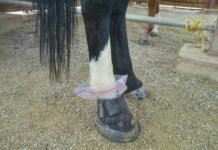 Once you get your barefoot trim, that is the time to incorporate the use of hoof boots to aid in the transition and help protect your equine partner while out on your rides. Right after the trim do your measurements, order your EasyCare hoof boots and then go out and enjoy your barefoot partner. You can be very proud that you are taking the natural approach to lifelong hoof health.